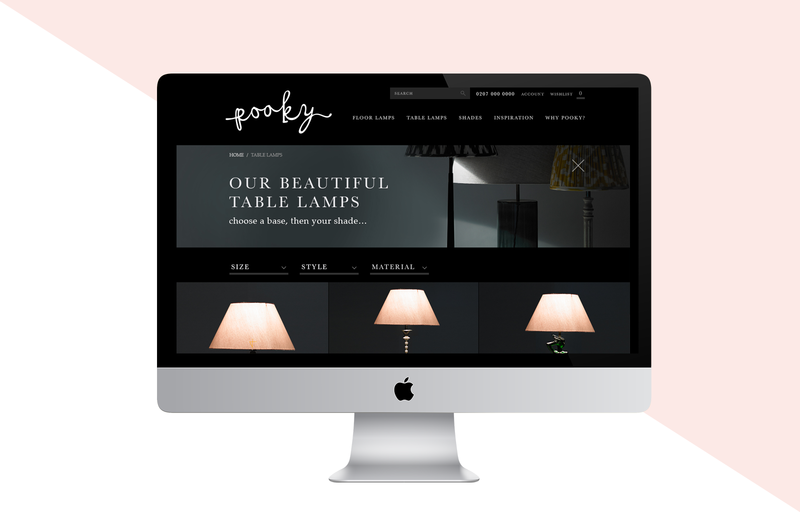 The project objectives were to design a beautiful platform to launch Pooky, an online shop for unique designer lamps. As a new brand the website's purpose was to act as a showcase for the lamps, and it includes a fun on/off switch so you can see what the lights look like in both scenarios. A simple and straightforward shopping experience was a very high priority, whilst not restricting choice.